No great home is complete without a great backyard.Now you can turn a great backyard into an exceptional one with Outdoor Design & Living’s Outdoor Rooms. 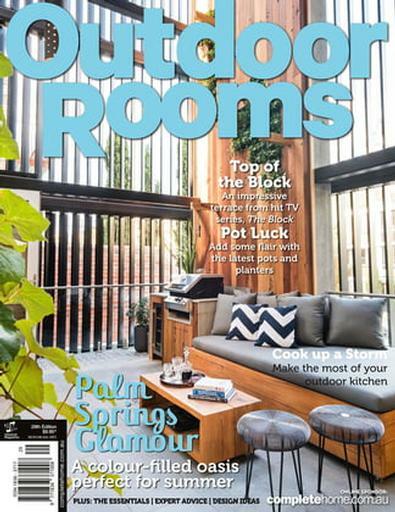 Discover the art of bringing your indoors out by creating your very own Outdoor Room.Each issue of Outdoor Rooms tackles the main elements of creating a functional and liveable room in your backyard for every budget. From the basics of design and materials to furnishings and decor, as well as reviews, case studies and how-to’s, you’ll find it all in Outdoor Rooms.With an Outdoor Rooms subscription, you’ll have everything you need to create the perfect backyard for your friends and family to enjoy throughout all seasons of the year. I LOVE this magazine. Great read, great inspiring photos, great ideas for interior designers and decorators.